If you’re a 40-something like me you probably remember special family meals eaten at a table set with crisp linens. 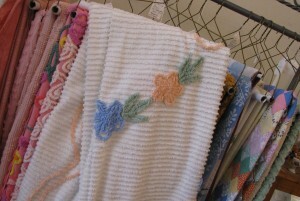 Or maybe you remember being tucked into a bed with a candle wicked or chenille bedspread. Unless you were lucky enough to have these wonderful items passed on to you, they’re hard to find. Guess what? I stumbled upon a charming shop that is an answer to my vintage-linen prayers. 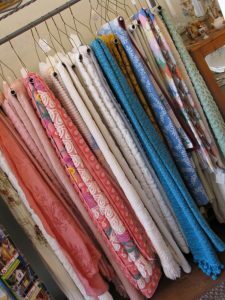 Daisy Dry Goods, located at 28 Front Street in Ballston Spa NY, has more than vintage table linens and bedspreads. 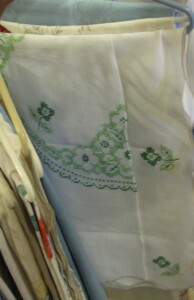 They also have vintage clothes, purses and jewelry. If you’re looking for furniture, sterling silver or glassware, there’s a good chance that Daisy Dry Goods has it. The owners, Kathleen and Larry Eberle, are friendly and will help you find what you’re looking for. 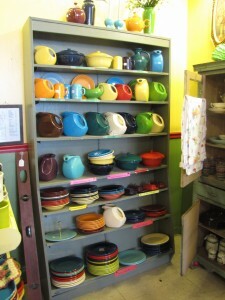 Did I mention that Daisy Dry Goods even has Fiestaware? I was focused on linens the day I visited the shop. Everything I saw was in excellent condition and reasonably priced. I could go on and on but I’ll let these pictures do the talking. Here’s one that reminds me of my grandmother – in a good way. 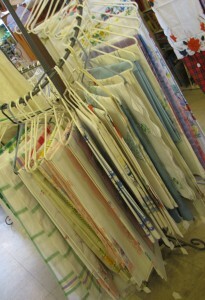 Daisy Dry Goods has a wonderful selection to choose from. Make sure you measure your table before you head out. There are lots of different sizes. Green is my favorite color. 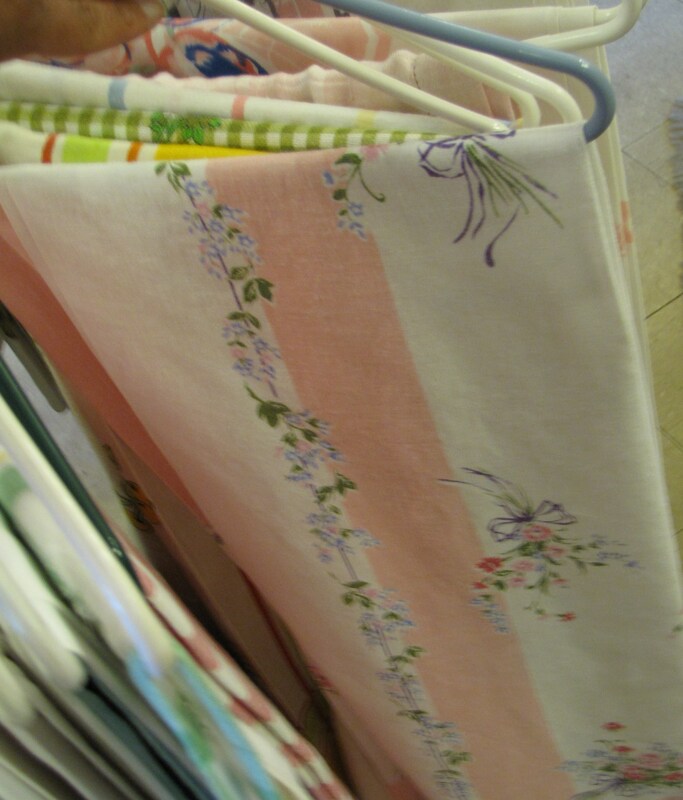 I fell in love with this table cloth. 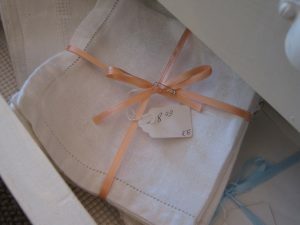 Linen napkins really ‘class up’ a place setting. 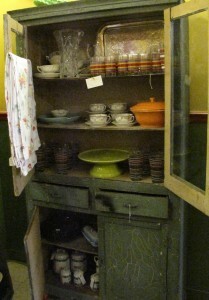 Daisy Dry Goods has drawers and drawers of them. And if you need something to set the table with, Daisy Dry Goods has an extensive collection of Fiestaware. The glassware would go great on a summer table. They remind me of some glasses my mom had in the 1970s. 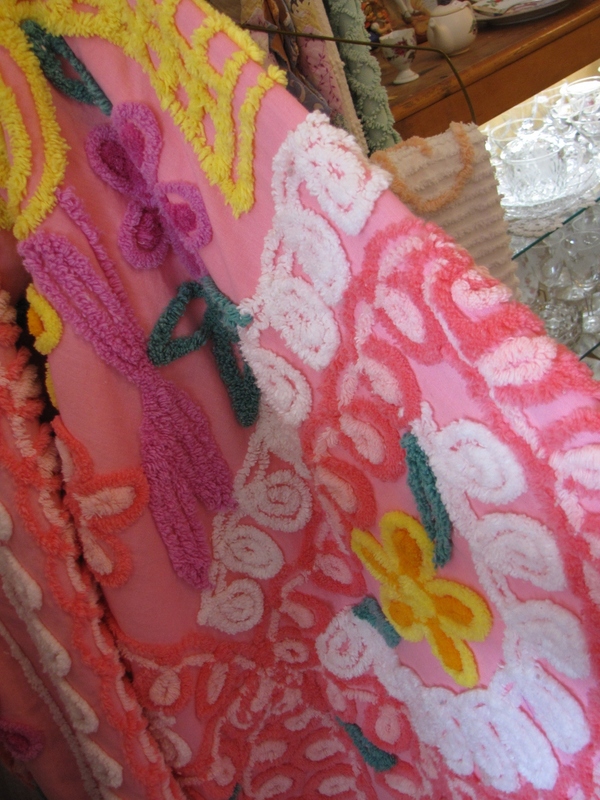 Colorful, vintage chenille bedspread – an excellent way to brighten up a young girl’s room or brighten up a guest room. 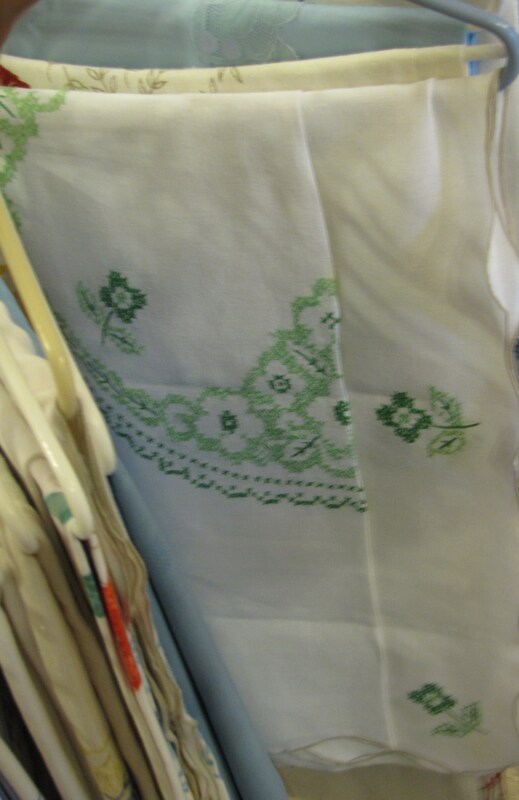 I fell in love with this one too – simple and classic. An entire rack of bedspreads – my favorite was a white candlewicked one – see it? 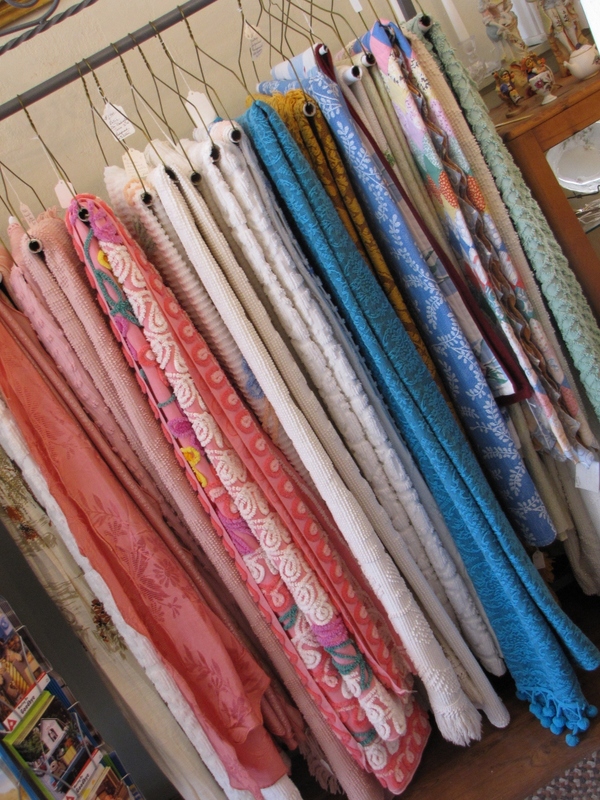 Whether your style is classic, traditional, modern or retro – Daisy Dry Goods has something that I’m sure you’ll like. I’d love to hear your comments about how you’d incorporate this style into your home. I can tell you that I would LOVE this store. Too bad I live so far west in Oregon :-/ Thanks for sharing your great find!